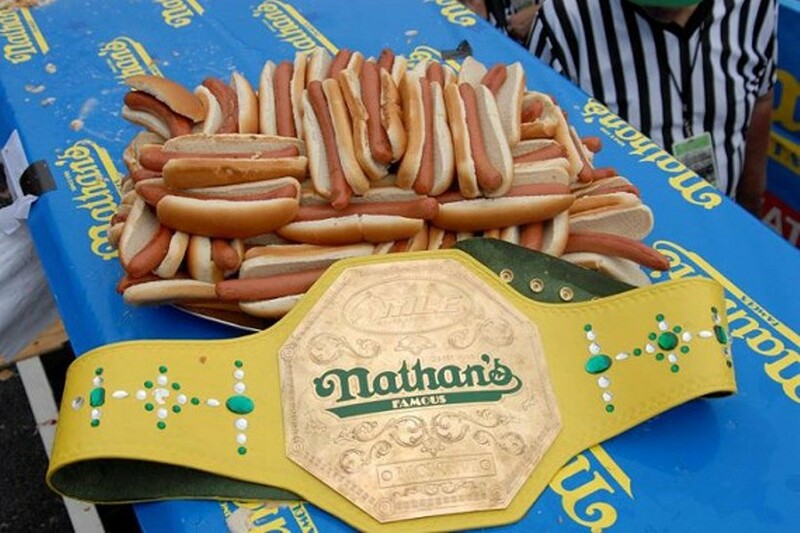 Major League Eating will host a local regional qualifier for the Nathan’s Famous Fourth of July International Hot Dog-Eating Contest at 1 P.M. on Saturday, March 19, 2015. The event will take place at Sunset Station in San Antonio at the H-E-B Big League Weekend pre-season baseball game. The top male and female finishers in this event will qualify for a seat at the Nathan’s Famous Fourth of July International Hot Dog Eating Contest in Coney Island, Brooklyn, on July 4th, 2016, where they will face reigning champions Matt Stonie and Miki Sudo.